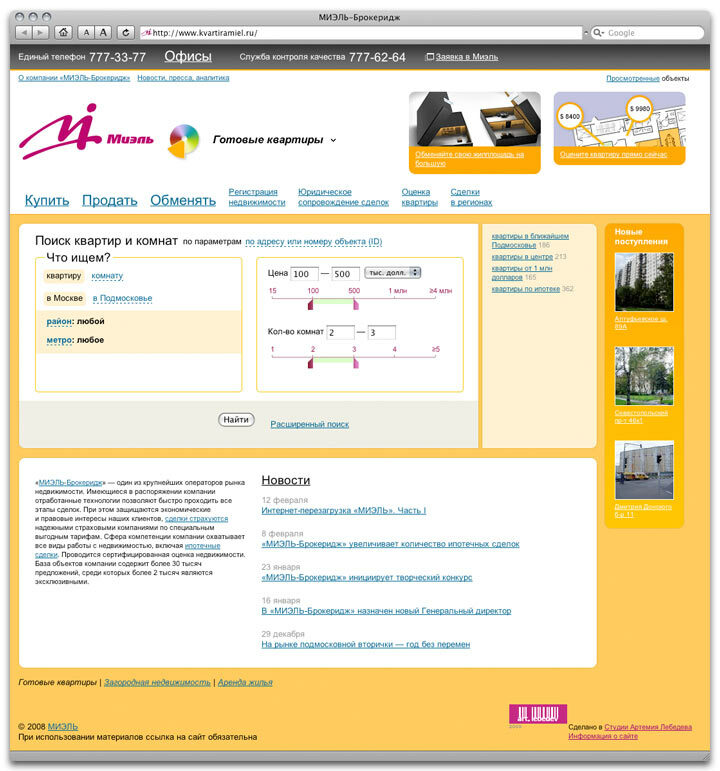 MIEL Real Estate is one of Russias largest real estate companies. Three new sites represent the company departments dealing with ready apartments, suburban housing and home rentals. 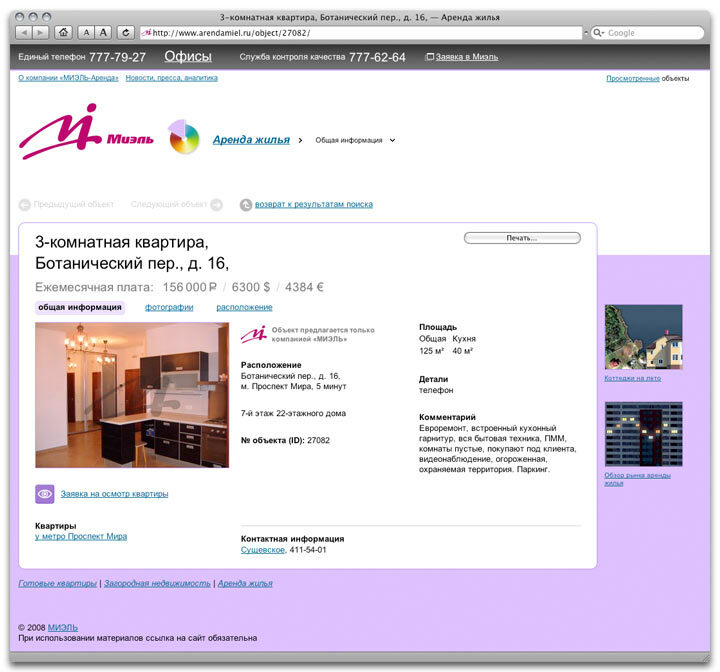 The main feature of each site is an interactive search over extensive amount of information on real estate. 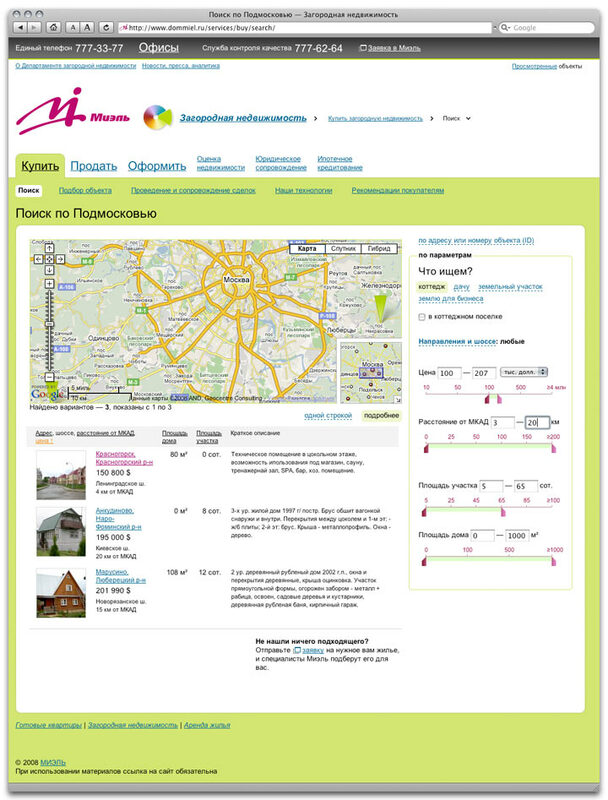 The search system provides users with images and details for available apartments, houses and estates in Moscow and its suburbs. It also shows the satellite view of locations.